With the unprecedented rebound witnessed in the nation’s stock market in 2017, culminating to a year to date increase in market capitalisation by N4.5 trillion, investors have stressed the need to implement appropriate legislation that would compel the Federal Government to fund nation’s infrastructural development through the capital market for sustainable recovery. The stakeholders, who spoke in an interview with The Guardian on how to achieve sustainable market rebound in 2018 explained that the key issues that can sustain current market trajectory include the downward review of the Monetary Policy Rate (MPR) to stimulate investment, policy stability, stable foreign exchange policy and implementation of appropriate legislation that will compel the Federal Government to fund its infrastructural development through the capital market. Indeed, after posting an outrageous 26 per cent loss in 2016, the Nigerian equities market gathered strong momentum in 2017, with a year to date increase of N4.5 trillion in market capitalisation from N9, 158 trillion at which it opened the year in January 3, 2017 to N13.609 trillion as at Friday, December 29, 2017. Also, the Nigerian Stock Exchange (NSE) All-Share Index (NSE ASI), rose by 30.4 per cent during the year under review from 26, 616.89 to 38,243.19. This was in spite of some crises of confidence that besieged the market during the year under review. The crisis ranges from the case involving 300 investors of Partnership Investment Plc whose stocks total N4.8 billion are involved in a ‘shady’ deal with the crises of confidence rocking Oando Plc. The latest is the allegations of fraud against the Director-General (DG) of the Securities and Exchange Commission (SEC), Mournir Gwarzo. The reign of the bull heightened in may, 2017, when market indices appreciated by 7.68 percent. 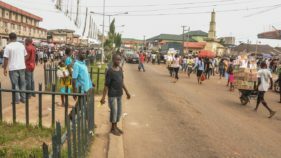 The last time the stock market recorded such improved performance since after the global recession was in the week ending April 2, 2015, when the index closed with a week to date gain of 18 per cent, valued at a whopping N2 trillion due to expectations that followed the election of President Mohammadu Buhari. The increased attempt by quoted companies to raise fresh funds through rights issue in 2017 is an attestation that the primary segment of the Nigerian capital market has begun to pick up. The NSE listed fresh shares worth N870.38 billion, $300 million diaspora Bond and $3 billion Euro Bond. Capital market operators said that the strong activities recorded in the primary market, is an indication that the investing public is coming back to the market, largely due to reforms in the secondary market and improvement in the macro-economic, which has attracted both foreign and local investors to the market. According to them, if the trend is sustained, the multinationals and small-scale businesses that are not listed may approach the stock market for listing to further contribute to market growth. Furthermore, activities of rights issue in the market this year showed that the NSE listed the shares of two new companies, Jaiz Bank and Med-View Airline, about seven shares valued at N191 billion was listed and on the bond market the federal government bond has been on an upswing with FGN Saving bonds listing about N257.16 billion. Also, listing of new issues on ETF platform was not left out as Coronation Asset Management, listed three mutual funds worth N2.17 billion. Average Foreign Portfolio Investment (FPI) per month rose to N85 billion in 2017, as against N43 billion recorded in 2016. August, March and June recorded the most impressive inflows at N208, N132 and N101 billions respectively, with the lowest been N22.4 billion in April. The value of Foreign Portfolio participation in equity trading in the NSE hit N851 billion as at October, 2017, representing a 60.8 per cent higher than N517.55 billion recorded for the full year ended December, 2016. The improved performance witnessed in the domestic bourse may, however be attributed to the introduction of the Importers and Exporters’ window in mid-April which helped stabilise volatility and liquidity in the FX market, pulling back foreign investors who have been waiting on the sideline. Also, the improved macro fundamentals as Nigeria exit recession. Boost to external reserves, the peace with militants amid oil price rally and improvement in ease of doing business and strong corporate earnings results. The All-Share Index, which measures the performance of the equities market, had recorded a cumulative fall of 39.61 per cent between 2014 and 2016. In 2016, market capitalisation of quoted equities, which stood at year at N11, 237 trillion as at January 5, 2015 closed at N9, 246 trillion as at Friday, December 30, 2016 down by N1.99 trillion or 21.5 per cent in 23 months, while the All-share index slides by 7068.67 points or 26 per cent from 33,943.29 to 26,874.62. The decline for three consecutive years led to exit of many investors who divested to fixed income securities, which returns are relatively stable and less risky. However, investors who remained in the equities market in anticipation of the return of the bulls are now counting their gains in 2017. But the market stakeholders however maintained that a lot needed to be done for the market to sustain the current momentum even in the ‘peak’ of elections. 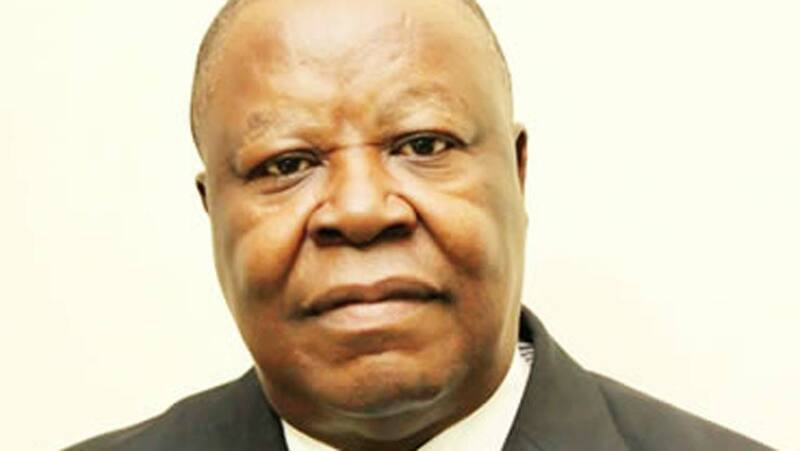 Precisely, the Chairman, Association of Stockbroking Houses of Nigeria (ASHON) Patrick Ezeagu explained that one the major challenges facing the market is how to restore investors’ confidence in the market. 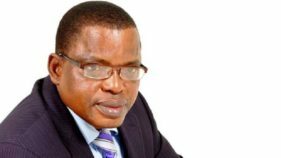 A stockbroker with Delloit Securities Limited, Tunde Oyediran said; ‘The market did excellently well this year, which could be attributable to right government policies and other positive macroeconomic indicators. He noted that the business terrain must be more investor- friendly for micro Small and Medium scale Enterprises to flourish, adding that the capital market must be developed to assist local entrepreneur grow their businesses. The President, Proactive Shareholders Association, Taiwo Oderinde said: “The market started with mixed reaction from the stakeholders. The first quarter was bearish and early part of second quarter too. The third quarter till date has been bullish with over N13 trillion total market capitalisation. “Investors are more cautious of picking their rights offers in the mkt. The present investors are investing based on the company’s’ results and fundamentals.